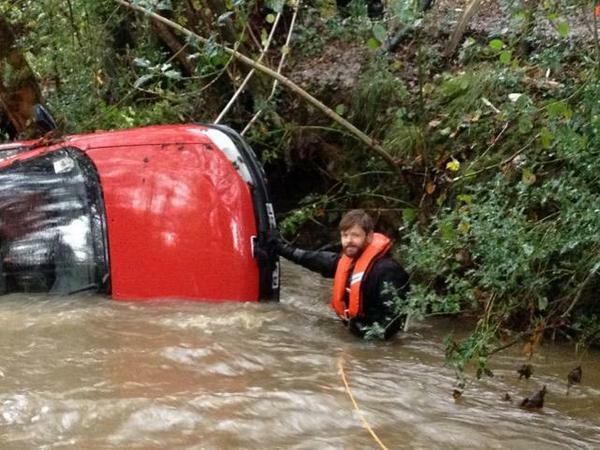 Police were alerted to a car on its side in water towards the bottom of Palesgate Lane in Crowborough. Following calls at about 9.30am this morning (Monday 3rd November), Sussex Police and a crew from Crowborough Fire Station attended. 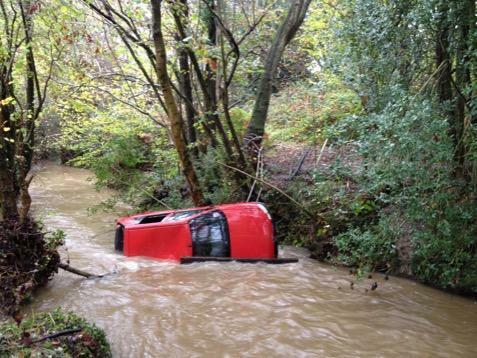 A red Peugeot was found submerged in the swollen brook which crosses Palesgate Lane, but no one was with the vehicle. Enquires by Sussex Police led to officers finding the owner at home. He had failed to report the incident. 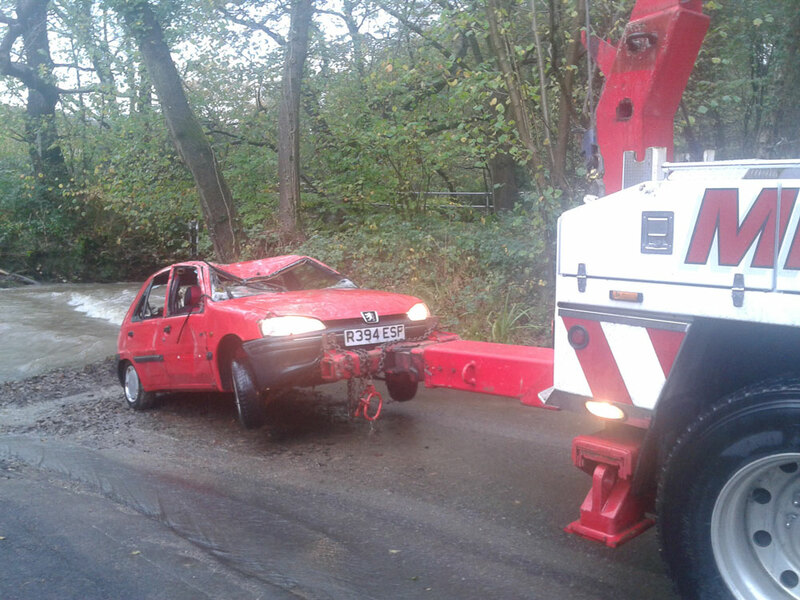 It is believed the driver was crossing the ford, where the stream crossed Palesgate Lane, when the car stalled. 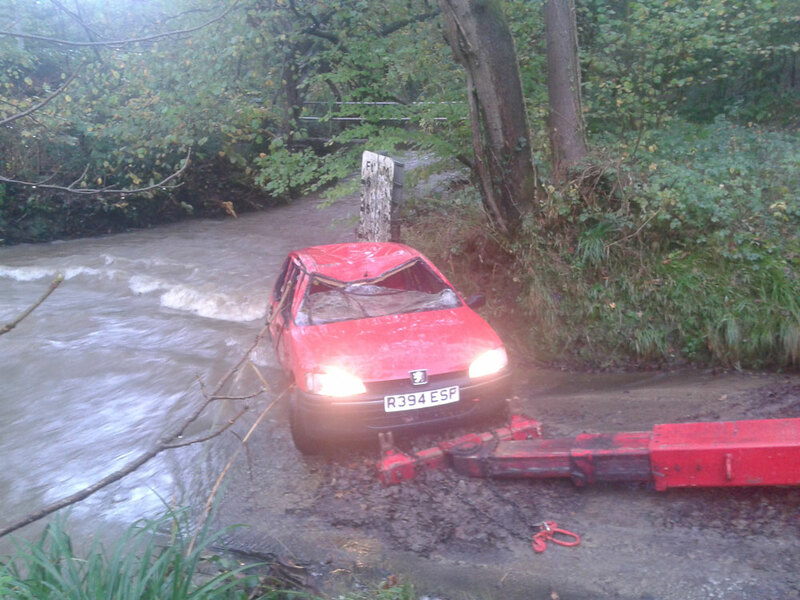 When water levels rose the Peugeot was washed downstream and onto its side. 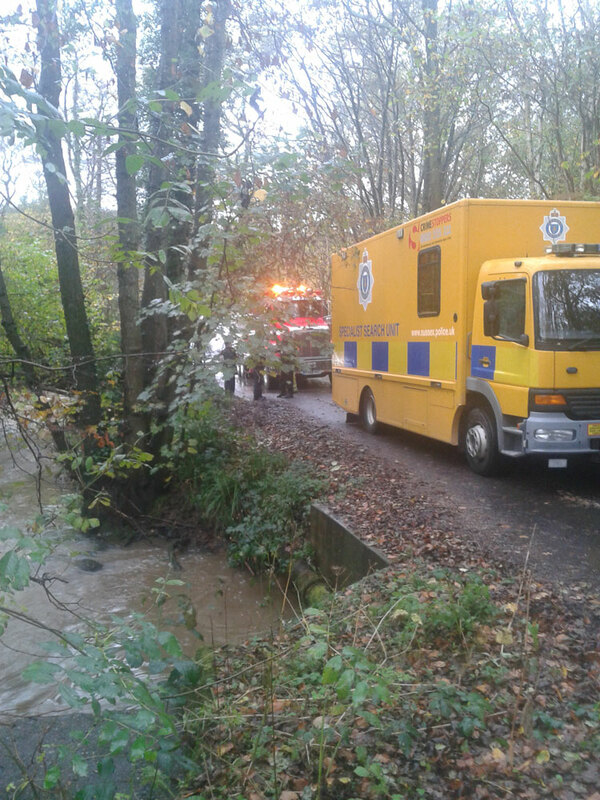 The bottom of Palesgate Lane remains closed to vehicles until the flood waters recede. If you know the driver, ask him to get in touch to tell us exactly what happened – contact CrowboroughLife.